US President Donald Trump has threatened to impose tariffs on an additional $200bn (£151bn) of Chinese goods in a growing trade row. Mr Trump said the 10% tariffs would come into effect if China “refuses to change its practices”. The move would be a major escalation of the dispute, which threatens to take the US and China into a trade war. Mr Trump insists that China has been unfairly benefitting from a trade imbalance with the US for years. Last week, he announced the US would impose 25% tariffs on $50bn worth of Chinese goods. Beijing responded by saying it would hit 659 US products worth $50bn – including agricultural products, cars and marine products – with a similar tax. Mr Trump said that by retaliating, China was “threatening United States companies, workers, and farmers who have done nothing wrong”. The US president released a statement on Monday night saying he had asked his trade advisers to identify additional Chinese products on which to impose new tariffs. “These tariffs will go into effect if China refuses to change its practices, and also if it insists on going forward with the new tariffs that it has recently announced,” he said. 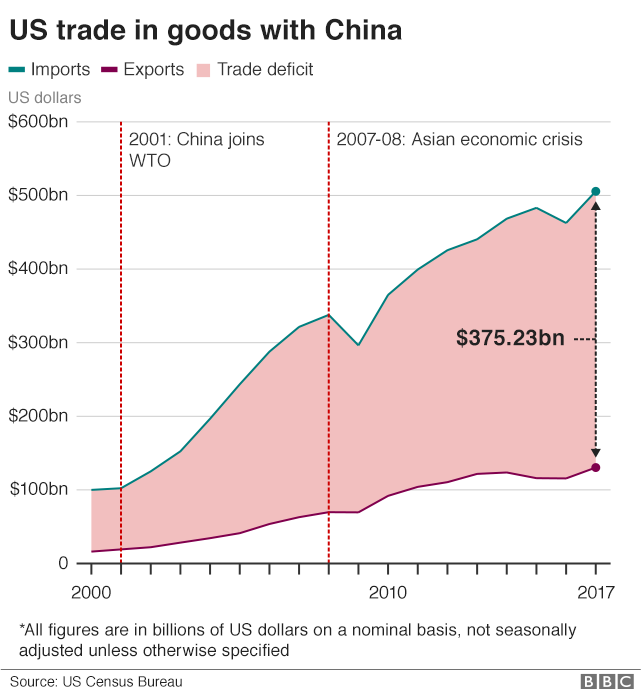 The US tariffs already announced affect more than 800 Chinese products worth $34bn in annual trade. They are due to come into effect on 6 July. The White House said it would consult on tariffs on the further $16bn of products, and would apply these later. The US wants China to stop practices that allegedly encourage transfer of intellectual property – design and product ideas – to Chinese companies, such as requirements that foreign firms share ownership with local partners to access the Chinese market. 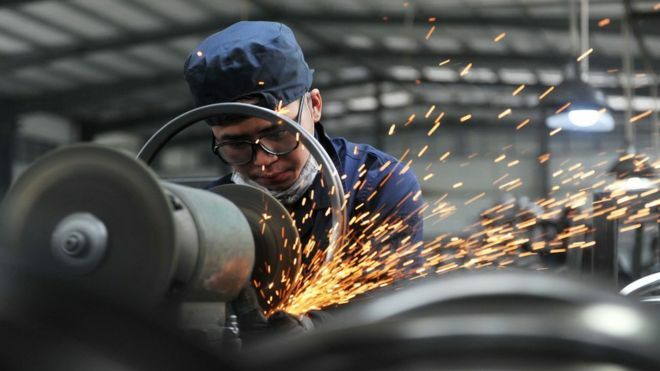 However, many economists and businesses in the US say the tariffs are likely to hurt some of the sectors the administration is trying to protect, which depend on China for parts or assembly. The US announced plans for tariffs this spring, after an investigation into China’s intellectual property practices.